Vintage animal prints with a modern twist. Printed on 100% organic cotton, this festive collection by Petit Collage is sure to get you in the party spirit. 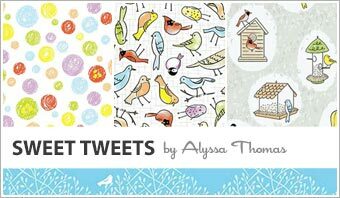 Great for use in children’s quilts, bedding and decor, and for youth apparel, get the party started with Party Animals! Pretty in pink (and greens and yellows). 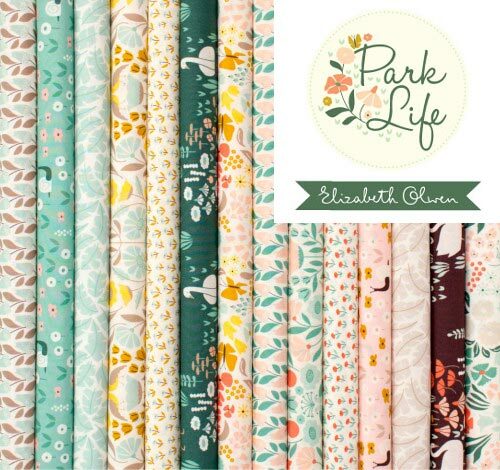 PARK LIFE is a delightful collection that will whet your whistle for springy projects - all 100% organic cotton. You can read more about Elizabeth’s inspiration on her BLOG. 2016 is off to a colorful start! 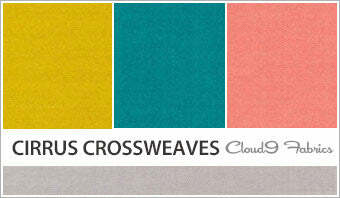 Cloud9 has added 10 colors their Cirrus Crossweaves palette. Birch has released Wildland - a romp through the grassy plains of the wild west. Check out these beauties and read on for a January 2016 treat - $20 off your $100 order. A wide array of soft, light to mid-weight knits are the perfect fabric for crafted gifts this holiday. Use for PJs, dresses, baby blankets, toys and caps. GOTS certified organic cotton. A new collection of hand-drawn digital illustrations reproduced on note and postcards.